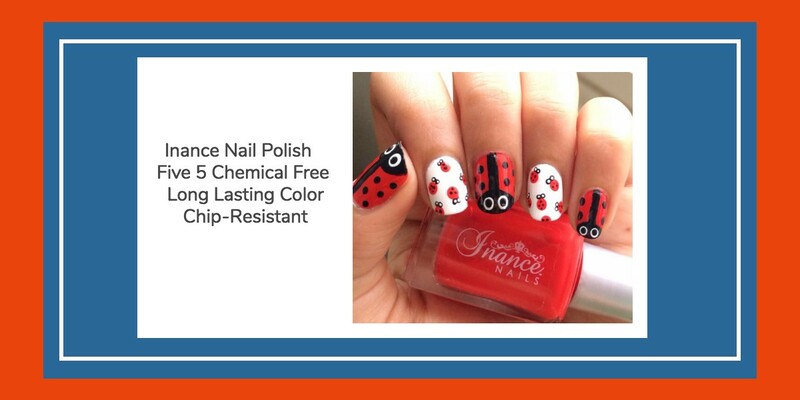 Inance Nail Polishes have the most bold, dynamic and brilliant colors. We use the most advanced chip resistant technology and we are 5 Free of harmful chemicals. No formaldehyde, no formaldehyde resin, No Toluene, No Camphor, No DBP! Just pure color that removes clean and easy and lasts longer than other nails polishes on natural nails. You will love Inance Polishes and you will never want to use another polish again! Color: Orange Crush- Bright, bold Coral/Orange polish. A customer favorite! -Seen in National TV Commercials starring Gretchen Rossi form the Real housewives Of Orange County shown on OWN, The Cooking Channel, Food Network, Bravo, E!, VH1, Hallmark Movie Channel, Animal Planet, etc. -Featured on Hallmarks Home and Family Show with Kym Douglas from the Drs, Ellen, etc. -Celebrity supporting tweets such as Lisa Rinna, Patti Stanger, Gretchen Rossi, Theresa Giudice and Kym Johnson from Dancing with the Stars and many more to come!